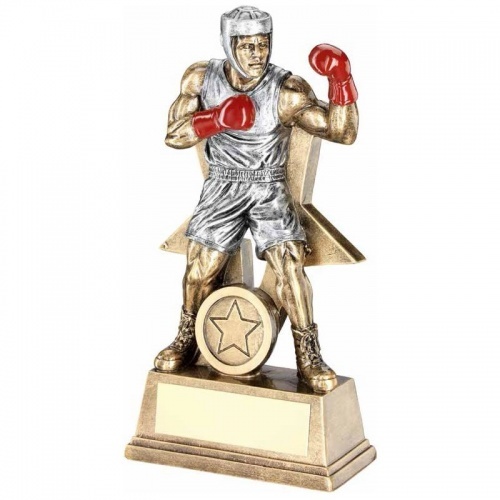 Boxing figure trophy made in durable resin with attractive silver and bronze colour finish, with red gloves. The male boxer figure is set against a star shaped background and has a 1in centre at the foot, and is set on a plinth with engraving plaque. The overall height of this boxing statuette award is 6in / 150mm.